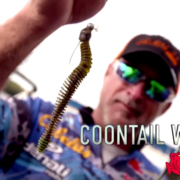 Designed by Bassmaster Elite Series veteran pro, Russ Lane, the Big Bite Bait Coontail Worm is the second addition to Russ’ signature series of baits. Extremely versatile, there were several key features he wanted to incorporate. For one, he wanted a worm with a center core that waves thru the bait, as opposed to a traditional core that runs in a straight line. This combined with a large, bulbous tail, provides the Coontail with a unique, undulating fall that bass can’t resist. The protruding ribs also wave and breathe with even the slightest current or movement, while creating a bigger profile without added bulk, which means the hook point has less plastic to penetrate – for better hooksets. 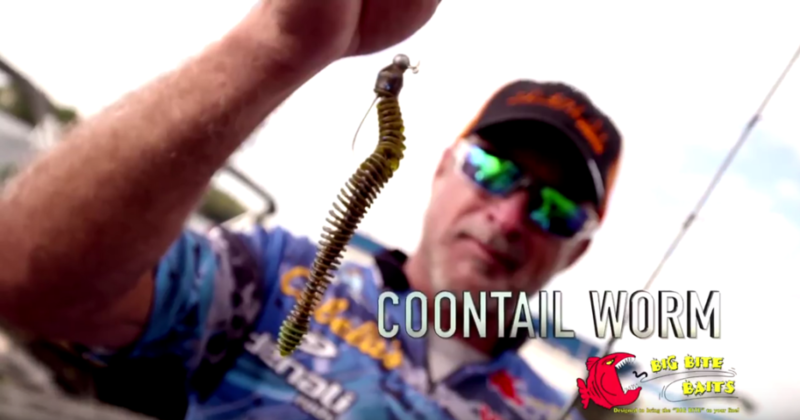 Available in a range of proven colors, the Big Bite Baits Coontail Worm excels when Texas rigged, Carolina rigged or fished on shaky head jig.